See Richard Bukowski's very helpful comments below - and thank you Richard for the gorgeous photos|! Received from the very helpful Richard Bukowski - thank you, Richard! And beautiful pictures, too! It's easy access starting at the parking lot right next to the lake. I advise starting in the morning when there's less people because when you return there will be many, many more. 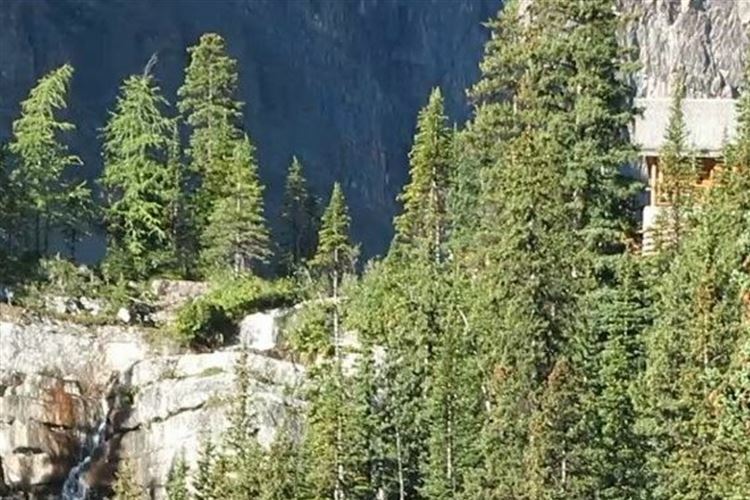 It's one of the most popular hikes in the park. 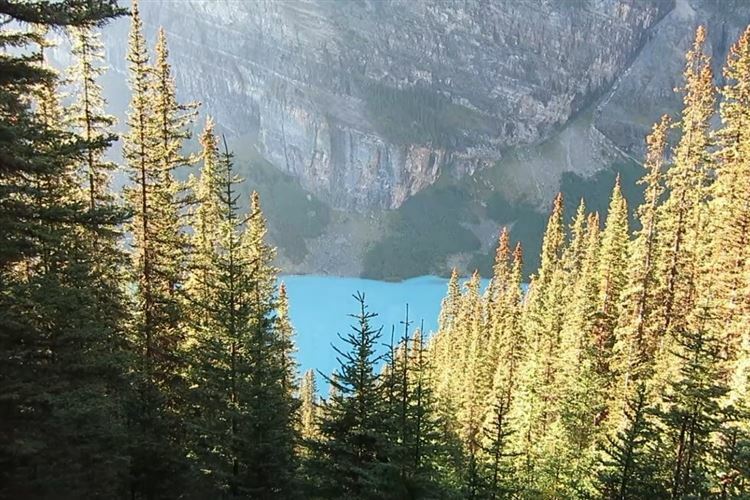 Lake Louise in low early morning sun is nice but not spectacular but when the sun starts rising then the otherworldly turquoise appears. You can get some nice blue shots of the lake behind trees. 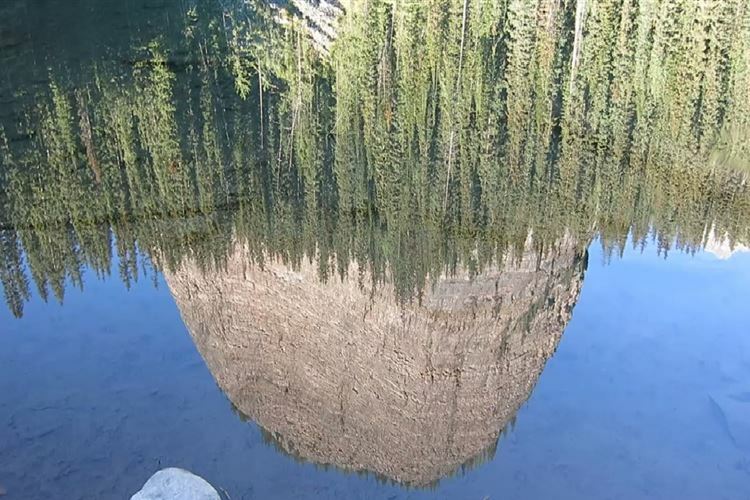 As you continue you bump into Mirror Lake which reflects perfectly a beehive shaped rock formation. When you arrive at the Agnes Teahouse it has a Lord of the Rings Rivendell look about it with a small waterfall and wooden teahouse. 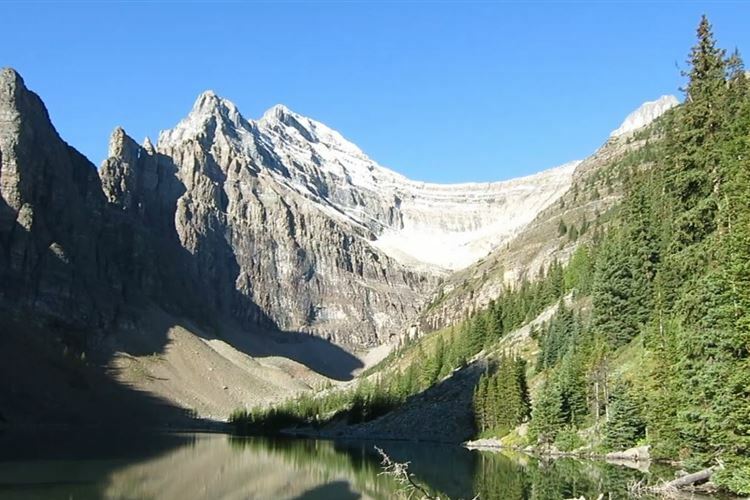 It's recommended to enjoy Lake Agnes and the freshly made tea and tea biscuits for a rest. 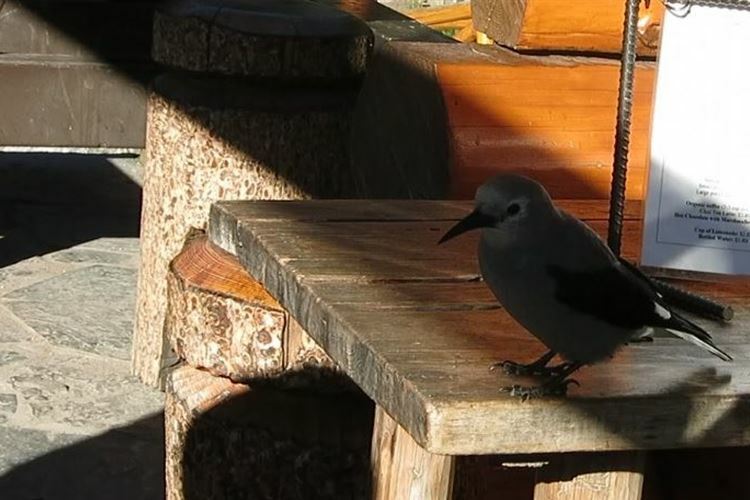 The negative here is that a Nutcracker bird is very adept at flying off with whole biscuits if the food is left unattended. 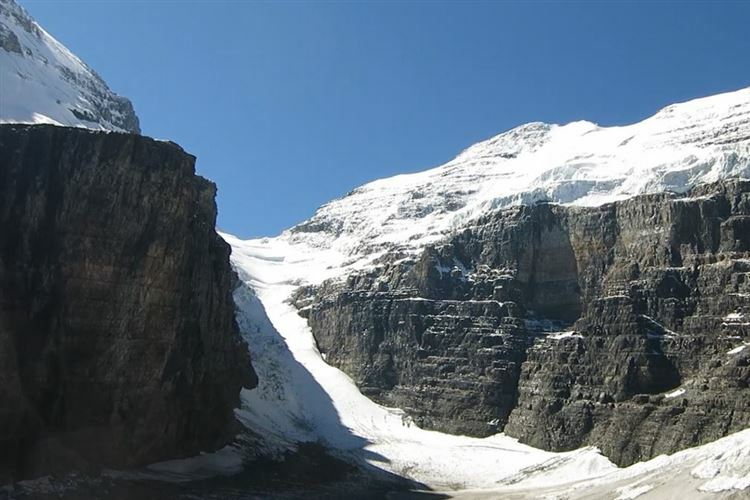 I continued on to the Path of Six Glaciers, which in July to September, should have nice wildflowers. There is a second teahouse which is pretty popular so if you want to eat you'll have to be patient to get a table. The path continues mostly made up of loose rocks. It's recommended to have hiking poles here. 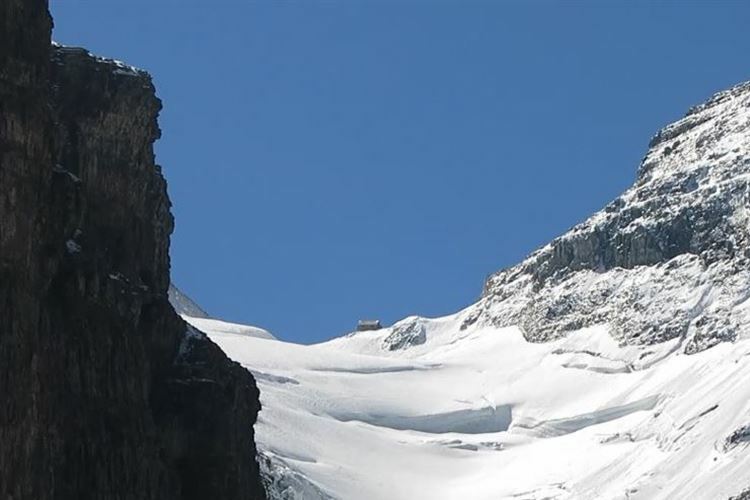 The reward is views of the Glaciers, and a view of a popular ice climbing spot (Victoria Glacier) towards Abbot Pass Hut which can be seen from this side with a zoom lens. 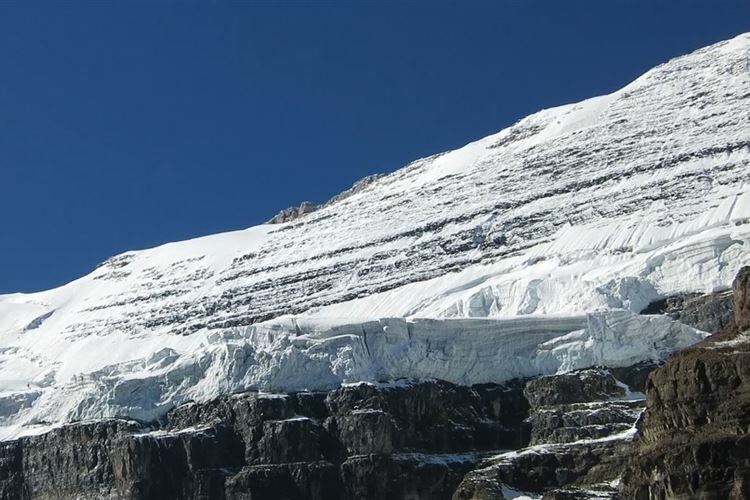 The top of Victoria Glacier is called the Death Trap so one has to be careful with crevasses in Glaciers. When you turn around back to where you came from there is a photo op of the Fairmont Chateau next to the lake. The round trip takes you back to a promenade along the lake towards the hotel and the parking lot. 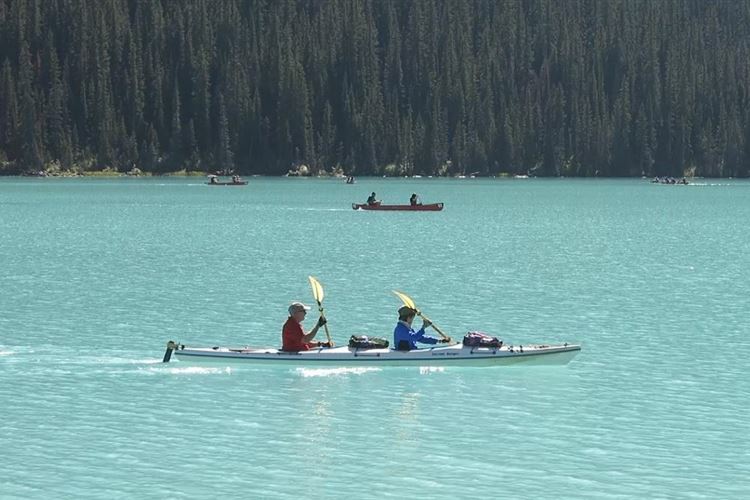 With brilliant sun, Lake Louise is spectacular even close up.